I was very happy to learn recently that Mr. Geoffrey Thomas Leslie Ashe has been named a Member of the Most Excellent Order of the British Empire for his services to culture by Her Majesty the Queen in Her Majesty's New Years Honour's List. As a scholar of things Arthurian, Mr. Ashe has spent many years searching for the historical personage upon whom the legends of King Arthur and his Knights of the Round Table are based, looking especially to the archaeological record. 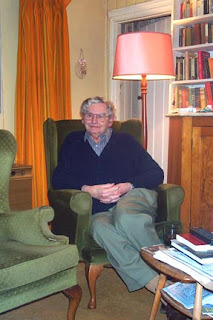 Some of his books are happily in my library, including his The Discovery of King Arthur, King Arthur: The Dream of a Golden Age, The Landscape of King Arthur, and The Quest for Arthur's Britain. Having as its motto For God and the Empire, the Most Excellent Order of the British Empire was founded by King George V in 1917 to honor especially those who served in non-combat roles during World War I. Although as a Member of the Order, Mr. Ashe cannot be addressed as Sir, this is still a great honor for an illustrious Arthurian. Congratulations, Mr. Ashe! Following the bombings by the Islamist sect Boko Haram - which is still not on the U.S. list of terrorist groups - that killed at least 200 Christians in Nigeria on Christmas Day, the Bishops of Nigeria have declared tomorrow, December 31, to be a day of prayer and fasting. I will join in solidarity tomorrow with our persecuted brothers and sisters in Nigeria. Please join me in praying for them and fasting with them. Yesterday morning His Excellency the Most Reverend Thomas John Paprocki what remains of St. Mary's church in Brussels and prayed with some of the parishioners. Bishop Thomas Paprocki of the Springfield Roman Catholic Diocese toured the charred remains of St. Mary's Church on Thursday morning and met with parish leaders to offer his support and impart his blessing. "I think the bishop was taken aback by seeing the church in its present state," said the Rev. Don Roberts of St. Mary's. "He expressed his sympathies to us and gave us every confidence that we will be doing something (to rebuild)." The historic Brussels church suffered considerable damage in a Christmas Eve fire that destroyed the interior but left the walls standing mostly intact. Please pray for the parishioners of Brussels who have suffered such a tragic loss on Christmas Eve. Please pray, too, for those involved in the ongoing planning. A priest-friend of mine recently wrote an post at Pray the Mass on the continuing celebration of Christmas. It is a timely reminder of our Catholic faith and culture. For many years now I have been involved with the Catholic Leadership Institute sponsored by the Diocese of Springfield in Illinois. In the past, the retreat was sponsored by our Office for Family and Youth Ministry, but beginning this year it will be sponsored by our Office for Vocations. The week-long program teaches young people the qualities of leadership, but specifically those of a Catholic leader so they can return to their parishes as leaders. If you or a young person you know would be interested in attending CLI 2012, please let me know. My dear brothers and sisters in Christ: Probably the most famous Christmas story in the world, apart from the Nativity itself, is Charles Dickens' A Christmas Carol. It has done much to foster the conviction that Christmas is a time for forgiveness and family gatherings. Not only does the repentant Scrooge send a turkey to his long-suffering clerk Bob Cratchit, but Scrooge himself goes to dinner with his nephew and wider family. "Nothing could be heartier," Dickens wrote. "Wonderful party, wonderful games, wonderful unanimity, won-der-ful happiness!" One of the most popular television Christmas specials is A Charlie Brown Christmas. In it, when a frustrated Charlie Brown asks what is the meaning of Christmas, Linus responds with a recitation of Luke's story of the birth of Jesus, the very Gospel we read at Midnight Mass. But, poor Charlie still does not quite "get it," and perhaps neither do we. The real meaning of Christmas is not revealed until the end of the story. Snoopy has won first place in a contest for the best outdoor Christmas decorations. Snoopy's doghouse is a gaudy collection of garland, orna¬ments, and flashing lights. Next to Snoopy's doghouse, Charlie Brown's little Christmas tree that is shedding its needles seems worthless — until the children strip Snoopy's doghouse of its gaudy display and turn the little tree into something magnificent. Earlier, while rehearsing the Christmas pageant, part of the cause of Charlie Brown's frustration was when Lucy had handed out the scripts. When she gave Sherman his script and told him he was to be a shepherd, he lamented, "Not a shepherd again?! Why do I always have to be a shepherd?!" Despite what we might think of the story of Jesus' birth, the star of the story is not only Jesus. The shepherds also share top billing. This is their story and the story of what God has done for them. It is the story of the ugly little tree that can become magnificent with a little love. Sherman didn't realize the importance of his role. The co-stars of the Christmas story are the lowly shepherds. Like the story of the ugly little tree made magnificent through love, it is also the story of the shepherds and what God has done for them. It was so great an experience that they left their flocks exposed so that they could be pulled into God's presence. This is a story of generosity and Christmas celebrates generosity. It is a generosity of love that is affective. It is the story of God's generosity with us. God has come to us, and it can become a story of our generous response to such great a gift. There is a fairytale quality to Luke's account of the birth of Jesus, where the harsh realities of the actual event are softened by the glow of the miraculous events surrounding it. But if we have no more than a romantic image of it, that does not bear close scrutiny. Luke reminds us of the political realities of the day, with whole populations on the move in order to be registered in the census commanded by Caesar Augustus. The economic reality is just as uncomfortable: the baby is laid in a manger, an animal's feeding box, because no other accommodation is available to poorer people. It is no accident, therefore, that Luke records that the first to hear of the birth of the Messiah were shepherds, the poorest of the poor, living in the open, moving from place to place with their sheep, having to defend them from wild animals. The words the angel uses are significant: the angel tells the shepherds that a savior has been born "to you" – Jesus is to be their savior, not just the savior of the high and mighty. The shepherds are not expected to believe the words of the angel on their own merit: a sign has been given to them. When they see a child, wrapped in swaddling clothes and laid in a manger, the angel's words will be confirmed – the rumor of good news really is Good News. Suddenly, with the angel, there is a "a multitude of the heavenly host with the angel." The shepherds have a vision of heaven, of a world above and beyond their own, a vision that will inspire them and add a new dimension to their lives. The song of the angels is not a concert performance to bring a little cheer to the shepherds on that first Christmas night; it is, rather, the song of the blessed that is constantly being sung to God. This reality is evoked at every Mass. 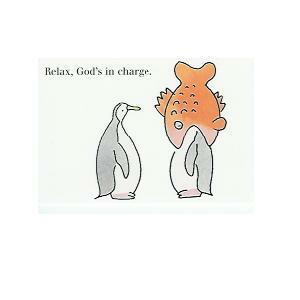 During the Preface, some aspect of God's saving work is recounted. Each Preface closes with "And so, with the Angels and all the Saints we declare your glory," or similar words. At that moment, as we join in the "Holy, Holy, Holy," we are with the shepherds in the fields, adding our voices to those of the angels. At that moment, it is as though the veil between heaven and Earth has been torn, enabling us to glimpse God's glory. At that moment, we can imagine that the roof of the church has rolled back, and we can see the spiritual reality of God's kingdom. This vision changes everything for us, and is the key to our life and our faith. There are times when we can be comforted by the romanticized picture of Christmas with which we are so familiar: the familiar story, the crib, memories of childhood, Christmas ritual. There are times too when we can see behind the story to the coming of God into the harsh realities of human life. For some people, these harsh realities have only become worse in the past year. Since the uprising in Egypt last January, human rights groups have estimated that as many as 100,000 Christians have fled to the United States to escape rising religious persecution in Egypt. Meanwhile, Archbishop Louis Sako of Kirkuk in northern Iraq said that again this year "Midnight Christmas Mass has been canceled in Baghdad, Mosul and Kirkuk as a consequence of the never-ending assassinations of Christians." He said that 54 Iraqi churches have been bombed and at least 905 Christians have been killed in various acts of violence, while hundreds of thousands of Christians have fled Iraq since 2003. 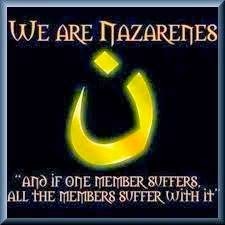 We stand in solidarity with them and with persecuted Christians throughout the world. Closer to home, just this evening, St. Mary Church in Brussels, Illinois, burned down after Mass. No one was hurt, thank God, but the loss of this sacred edifice in our diocese will be devastating for the people of this parish. Let us remember them in our prayers, knowing that Christ's birth is especially meaningful for those who suffer and who long for His coming. We know that the birth of the Christ child is not just a feel-good story, but it is significant and life-changing for us and for our world. Whenever we face some personal difficulty, or feel down about the state of the world, or are burdened with worries, we can be certain that God is in the middle of it all: the Word has become flesh, and really lives in our midst. The "Holy, Holy, Holy" reminds us of this, not just this Christmas night but every time we come to Mass. 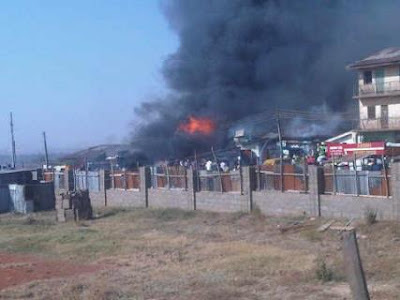 Very sad and troubling news comes today from Nigeria, where at least ten people are dead and many wounded after a bomb exploded outside St. Theresa's church in Madala. This is the just the latest attack on Christians in recent weeks. The death toll is now at ﻿27. On this blessed morn I am delighted to provide for you two versions of one of my favorite Christmas carols, The Carol of the Bells. Last evening we received the sad news that St. Mary's church in Brussels burned down; the church was built in 1863. Fortunately, no one was injured. Toward the end of his homily at the midnight Mass, Bishop Paprocki acknowledged that the fire "will be devastating for the people of the parish" and invited those gathered in the Cathedral to pray for them, "knowing that Christ's birth is especially menaingful for those who suffer and who long for His coming." O mighty God, you have appeared as a child and you have revealed yourself to us as the One who loves us, the One through whom love will triumph. And you have shown us that we must be peacemakers with you. We love your childish estate, your powerlessness, but we suffer from the continuing presence of violence in the world, and so we also ask you: manifest your power, O God. In this time of ours, in this world of ours, cause the oppressors’ rods, the cloaks rolled in blood and the footgear of battle to be burned, so that your peace may triumph in this world of ours. Even as Christians in Iraq will not attend Midnight Mass or celebrate with external decorations for the second year in a row (which Terry Mattingly here ponders why it isn't being covered by the main stream media), Christians in the Orissa province of India will inform police of their celebrations, just to be safe. Meanwhile, Pakistani authorities have deployed 2,500 police to patrol the streets and protect the faithful during their Christmas celebrations. Let us this night give thanks to God not only for the Birth of his Son, but also for the freedom to celebrate our faith in public without fear for our lives. Let us also pray intently for our brothers and sisters living under persecution. "Let us go to Bethlehem!" press your lips upon and kiss the boy's feet. As you gather this weekend to celebrate with your family and friends, please remember in a particular and conscious manner our brothers and sisters who cannot celebrate the birth of our Savior with the same joy and external festivity with which we will celebrate it, especially those in Iraq. May the Lord protect those who are faithful to his Name as they honor the Birth of Christ the Lord. For the second year in a row (last year's story here), Christmas Midnight Mass has been cancelled in Iraq. The announcement came from the Most Reverend Louis Sako, Archbishop of Kirkuk, who recently dedicated a memorial to the Christian martyrs of Kirkuk since the beginning of Operation Iraqi Freedom. This sad news comes on the heel of news that Christianity in Iraq and in Afghanistan may soon be irradicated. Let us tone down our celebrations of Christmas again this year in solidarity with our persecuted brothers and sisters in the Middle Christ. May our Lord come quickly! For years now we have heard people of faith - particularly the Knights of Columbus - urging us to "Keep Christ in Christmas." Christmas, after all, means "Christ's Mass," referring specifically to the Mass celebrated in honor of his holy Birth. This year, keep the Mass in Christmas. There is simply no better way to Christ in Christmas than to attend the Holy Mass in honor of his Incarnation and to receive his Precious Body and Blood. Less than a year to go! This morning Sr. Mary Martha takes a look at a few Christmas carols and explains their meaning. Be sure to pop over and learn a little something. Contrary to popular belief, the age of the martyrs is far from over. 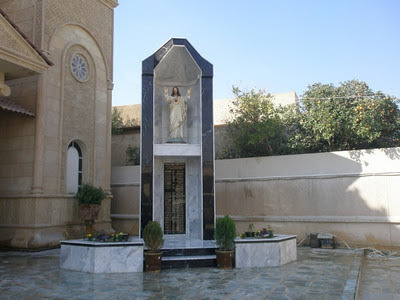 This past Sunday the Most Reverend Louis Sako, Archbishop of Kirkuk, dedicated a memorial to the Christians martyrs of the city of Kirkuk since the beginning of Operation Iraqi Freedom in 2003. At the top of the memorial a statue of the Sacred Heart of Jesus, who is also patron of the Cathedral of Kirkuk, "with open arms" in a gesture of welcome to the faithful and "blessing and courage to the families" of victims of the war. During the ceremony inaugurating the monument, Mgr. Louis Sako said that "the blood of martyrs is precious" and is a "gesture of reconciliation for all Iraqis", especially in recent weeks in which the withdrawal of U.S. troops from the country has been completed. "We are living in preparation for Christmas - added the archbishop - which announces peace on earth for all people of good will." For this, he concludes, "we Christians are called to become a bridge" to be able to "unite all cultures" [more]. The vandal climbed over two railings and attacked the basilica's bronze doors with a rock, knocking off six saintly badges and "seriously" damaging a bas-relief portrayal of the Annunciation to the Virgin Mary, church sources said on Monday. Police are said to have arrested a Romanian homeless man and Vatican gendarmes are also investigating, since the church, although across the city from the Holy See and close to Termini rail station, is a Vatican 'extraterritorial' site. Experts from Rome's art heritage superintendency said the damage ran into thousands of euros. "It's serious damage, quantifiable in a few thousand euros," they said. One of the fences the man climbed over was a couple of metres high and the other six metres high, police said [more]. The Basilica houses part of the manger in which the Christ-Child was placed in Bethlehem. In Malaysia, the government has appointed a Muslim to oversee Catholic schools. Of all of the changes in the English text of the Roman Missal, one pleases me more than any of them combined: the change of the words spoken by the priest following the Agnus Dei (Lamb of God). Formerly the priest showed to the people the Precious Body and Blood of Our Lord and said, "This is the Lamb of God, who takes away the sins of the world. Happy are those who are called to his supper." Now the words spoken by the priest are more in keeping with the biblical text spoken by Saint John the Baptist, "Behold the Lamb of God, behold him who takes away the sins of the world. Blessed are those called to the supper of the Lamb." That's a good way to start the day. Tomorrow, 22 December 2011, will witness the debut of the trailer for the upcoming film, The Hobbit: An Unexpected Journey, which will be released in December of 2012. 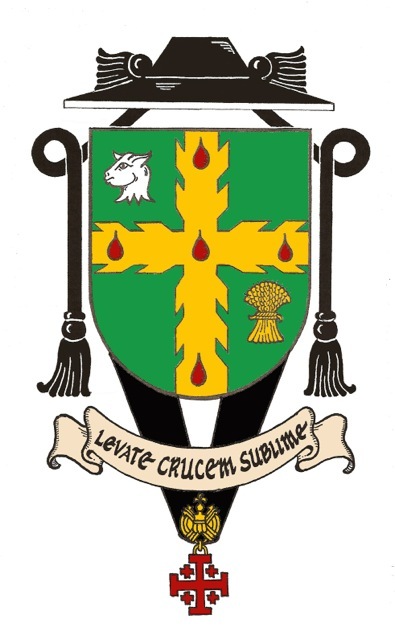 For a great many years now - since my childhood - I have enjoyed the legends of King Arthur and the Knights of the Round Table, both their historical background (however firm it may be) behind the victor of the Battle of Mount Badon and the literary tales that have arisen around him over the course of many centuries. As I read the latest issue of Arthuriana, the scholarly journal of the International Arthurian Society-North American Branch, last week, it occurred to me that several of these stories take place at Christmas. Consequently, I thought it might be interesting to take a look at some of these tales and examine what they say about the Nativity of our Redeemer. Some even suggest that the life of Saint Galgano gave rise to the story of Sir Percival/Parsifal. But be that as it may, let us return to our tale. 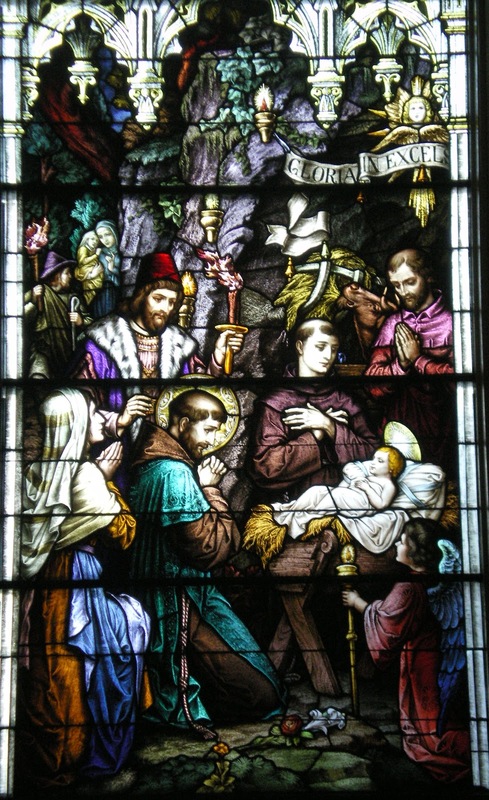 It may seem odd to us to summon the lords and gentlemen at Christmas, but the Archbishop had a reasonable intent: "that Jesus, that was born on that night, that he would of his great mercy show some miracle, as he was come to be king of mankind, for to show some miracle who should be rightwise king of this realm." Heeding the call of the Archbishop, the lords and gentlemen chose to prepare themselves to celebrate Christmas and to ask this miracle from the Lord. They "made clean of their life, that their prayer might be the more acceptable unto God." there was seen in the churchyard, against the high altar, a great stone four square, like unto a marble stone; and in the midst thereof was like an anvil of steel a foot on high, and therein stuck a fair sword naked by the point, and letters there were written in gold about the sword that said thus: Whoso pulleth out this sword of this stone and anvil, is rightwise king born of all England. This miraculous appearance was the answer to their prayers and the promise of a peaceful realm. When word of this miracle was brought to the archbishop, he ordered everyone to stay in the church at prayer, making it clear that "no man touch the sword till the high mass be all done." As might be expected, after the Mass everyone went out into the churchyard and marvelled at the sight. Try as the might, none could move the sword and so it was determined that the rightwise king born of all England was not present. A tournament was announced for New Year's Day and the call went out through all the land "to keep the lords together and the commons, for the Archbishop trusted that God would him known that should win the sword." On New Year's Day, while on his way to the tournament, Sir Kay, the son of Sir Ector, realized he had forgotten his sword (how this could possibly have happened is not revealed) and sent Arther, his father's foster-son, to fetch his sword. shall not be without a sword this day." Taking hold of the sword (which was not Excalibur, but rather Caliburn), Arthur drew it forth "lightly and fiercely" and gave it to Sir Kay, who recognized it. 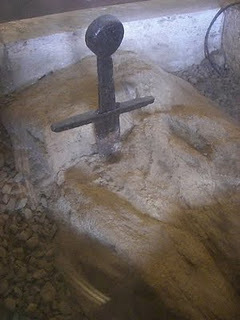 Sir Kay went to his father and said, "Sir, lo here is the sword of the stone, wherefore I must be king of this land." Returning to the church, Sir Ector made his son "swear upon on a book [presumably the Scriptures] how he came to that sword." When Kay confessed Arthur gave it to him, Arthur explained how he came to the sword. Now, it seems Arthur was somehow completely unawares as to the nature of the sword, for when he was told that because he drew it forth he was the true king, he said, "That is no mastery," and put the sword back in the stone and anvil. Even so, neither Sir Ector nor Sir Kay could re-draw the sword, but only Arthur. When Arthur's deed was reported to the Archbishop, he declared that on the twelfth day of Christmas, the sword should be placed again in the stone for the lords to attempt to draw it, but "there might none take it out but Arthur." Still the lords were unwilling to accept Arthur - whom they thought to be of no high birth - as their King, so it was decided that on Candlemas (February 2nd) the lords of the realm should attempt to withdraw the sword yet again. "And right as Arthur did at Christmas, he did at Candlemas, and pulled out the sword easily, whereof the barrons were sore aggrieved and put it off in delay till the high feast of Easter." Even so, the situation remained the same. Finally, on the day of Pentecost, when still none but Arthur could remove the sword, "the commons cried out at once, We will have Arthur unto our king, we will put him no more in delay, and who that holdeth it against it, we will slay him." And so it was that, after pardoning the lords their delay, Arthur took the sword and "offered it upon the altar where the Archbishop was" and finally was Arthur crowned king of all England. Of particular note to us in this final week of Advent is the preparation made by the lords and gentlemen to make their lives clean so their prayers would be more favorably heard. They knew the truth of the words of Saint James, that "the prayer of a righteous person has great power in its effects" (James 5:16). How is it, then, that we can cleanse our lives in preparation for the great day of Christmas? The means are simple, but of great profundity: sacramental confession; increased prayer, fasting and almsgiving; and reading the Scriptures, particularly the accounts of the Lord's birth and of the prophecies concerning him. Certainly there are more ways to cleanse our lives in preparation for his coming, but these are a good and trustworthy beginning. We have in these remaining days of Advent still time - even with the busyness of these days - to follow the example of Elizabeth who went into a period of seclusion before the birth of her son, John the Baptist (cf. Luke 1:24). It is a matter of recognizing what is most important: certainly being prepared to welcome family and friends is important, but not as important as being spiritually ready to welcome the Christ-Child. In the Collect prayer of today's Mass we prayed "that we may venerate with integrity of faith the mystery of so wondrous an Incarnation and always celebrate it with due reverence." At the end of the Mass we prayed that "we may welcome the Nativity of our Savior and honor it with minds made pure." Let us then, in these days that remain, follow the example of those lords and gentlemen who heard the summons of the Archbishop of Canterbury and with them cleanse our lives that our prayers, too, may be heard. * This and subsequent quotations from Le Morte D'Arthur come from Thomas Malory, Le Morte D'Arthur: Complete, Unabridged, New Illustrated Edition, John Matthew, ed. (New York: Barnes & Noble Books, 2004). Benedict turns 85 in the new year, so a slowdown is only natural. Expected. And given his age and continued rigorous work schedule, it's remarkable he does as much as he does and is in such good health overall: Just this past week he confirmed he would travel to Mexico and Cuba next spring. But a decline has been noted as Benedict prepares for next weekend's grueling Christmas celebrations, which kick off two weeks of intense public appearances. And that raises questions about the future of the papacy given that Benedict himself has said popes should resign if they can't do the job. Vatican spokesman the Rev. Federico Lombardi has said no medical condition prompted the decision to use the moving platform in St. Peter's, and that it's merely designed to spare the pontiff the fatigue of the 100-meter (-yard) walk to and from the main altar. And Benedict rallied during his three-day trip to Benin in west Africa last month, braving temperatures of 32 Celsius (90F) and high humidity to deliver a strong message about the future of the Catholic Church in Africa. Wiping sweat from his brow, he kissed babies who were handed up to him, delivered a tough speech on the need for Africa's political leaders to clean up their act, and visited one of the continent's most important seminaries. Back at home, however, it seems the daily grind of being pope — the audiences with visiting heads of state, the weekly public catechism lessons, the sessions with visiting bishops — has taken its toll. A spark is gone. He doesn't elaborate off-the-cuff much anymore, and some days he just seems wiped out [more]. "But Benedict is not a normal 84-year-old," wrote Winfield, "both in what he is called to do and the implications if he were to stop." Winfield further rightly observes, "Clearly, at his age Benedict has good days and bad, even good half-days and bad." Our dear Papa is old and has more than earned his rest. But he has important work to do — miles to go before he sleeps. Pray for this transparently holy and humble servant of Christ, that he finds rest, comfort and consolation when he needs it, and vigor when he needs that, too. This seems a sudden and troubling decline. Of course he cannot live forever — and what a remarkable life he has had, lived entirely for Christ — but I pray we get to have him among us for a while, yet! Not as glamorous as his predecessor, but nevertheless, a punch-packer, a quiet riot; I do dearly love this pope, whom I believe we will someday call a saint. I think she's right: we will one day call him a saint, and I've thought so for a very long time. My devotion to this Successor of Peter is not hidden. Because of my arthritis, I know well what it is like to have "good days and bad, even good half-days and bad." I know what it is like to have to be "on" when you have no energy left and would rather be lying down, resting. Now I rejoice in my sufferings for your sake, and in my flesh I complete what is lacking in Christ's afflictions for the sake of his body, that is, the Church (Colossians 1:24). Please join me in praying for the Holy Father, that the Lord will grant him what strength he needs together with time sufficient for rest and relaxation. He has labored well, and humbly, in the Lord's vineyard; may the Lord reward his faithful servant and steward! That I am able to meet him when I accompany Bishop Paprocki on his ad limina visit. all may know the truth and attain life eternal. The Chicago Sun Times has an interestingly odd story today about yesterday's meeting of the Bishops of the Province of Illinois with Governor Pat Quinn (D). Abdonm M. Pallasch, a political writer, begins saying the Bishops "were taking him [Quinn] out to the woodshed, but just four sentences later reports "Quinn said most of the talk at the two-hour meeting was about areas where he and the bishops agreed." That doesn't sound like much a woodshed, unless Pallasch means in a rather unconventional way. wanted to remind the Governor that conscience, while always free, is properly formed in harmony with the tradition of the Church, as defined by Scripture and authentic teaching authority. A personal conscience that is not consistent with authentic Catholic teaching is not a Catholic conscience. The Catholic faith cannot be used to justify positions contrary to the faith itself. It is a matter of personal integrity for people who call themselves Catholic to act in a manner that is consistent with the teachings of the Catholic Church. In addition, since he holds a highly visible and influential position, the Governor’s statements about conscience or other matters of faith can affect many other people for whose spiritual care bishops are responsible. The Governor, together with many "Catholic" politicians, still doesn't seem to understand that. The Pontifical Council for the Laity has confirmed that World Youth Day 2013 will take place in the Brazilian city of Rio de Janeiro from July 23-28 [more]. With a return to dates in July - as in Madrid - it should be easier for American youth to attend. Start your plans rolling now! What sort of science doesn't share its data? "In every endeavor of science, making your work replicable by others is a basic tenet of proof,” Anthony Watts, a meteorologist and climate change blogger, told FoxNews.com. “If other scientists cannot replicate your work, it brings your work into question” [more]. The Archdiocese Cincinnati will sponsor Run for the Call, a marathon to increase priestly vocations. Check it out and, if you're in the area, why not 26.2 miles for vocations? The Diocese of Honolulu sponsors something similar called the Akua Run/Walk for Vocations. Cardinal George on "Holiday Trees"
Why is this not all over the news? In 1985, Avrohom Mondrowitz — a Hasidic “therapist” working in Brooklyn — was indicted for abusing five young boys. Police suspected he abused well over 100 more. Mondrowitz fled to Israel, where he remains a free man to this day. not alert the press on most arrests. It refused to name 85 Orthodox molesters arrested since the program started in January 2009, saying that might reveal victim identities. Also that same day, a story was published on the 85 molesters (a few of whom are named) involving 117 victimes. Yet none of this has covered the headlines across the nation with the time it warrants. Why? When will our nation and our people get serious about addressing the scourge of sexual abuse that runs rampant like the plague? However, the one news outlet where you will not find any information on this, is the New York Times, even if these disgusting crimes occurred in its own backyard. Is this another case of “not the Catholic Church”? It seems so. The Times has never been shy in trumpeting cases, attaching allegations of abuse by Catholic priests that took place decades ago. Just last week, for example, it wrote an unconfirmed story about an archbishop in Ireland, who died in 1973, had been accused of abuse years after his death. A clear case of double standards? Certainly. We must truly seek justice and compassion for the sexual abuses of priests. But we demand fairness, justice and perspective in reporting on the abuses of the Catholic Church. And the New York Times still does not do any of this. From time to time it is falsely claimed - or, at the very least - assumed, that Christians celebrate the birth of Jesus on December 25th because earlier Christians supplanted the pagan feast of Sol Invictus (the unconquerable sun) with the Incarnation of the Christ. This is - to be blunt - quite incorrect. There you have it. Please be kind in reminding the secularists of the actual historical fact. But what of the claim that shepherds didn't pasture their sheep in the winter and so couldn't have encountered the angels or the Holy Family on December 25th? Where else would the sheep be? In the shepherd's house? Then there is a third kind. These were flocks of sheep with dark, if not pitch black, wool. The author considers this type of flock to be more unusual than the other two kinds. According to Loconsole’s historical research, these sheep were treated in a special way. They were seen as “impure” animals, so impure that they were not allowed to seek refuge after nightfall either in towns or even in outlying areas. Their existence, according to Jewish law, had to be permanently out in the open; and it would be fair to assume that this would be in places that were not far from their usual pasture. Their treatment was necessarily shared by their shepherds. It was impossible then, as it is now, to abandon flocks to their fate, even if winter nights in the hills of the Middle East can be far from comfortable. Therefore, if this was the situation in Israel during Jesus’ time, the presence of shepherds near the cave and manger was not a mere invention (and why would it be? The shepherds certainly did not add any glamour to the event) of the gospel according to Luke. Again, please kind in correcting the secularists. And your poorly informed fellow believers. In Malaysia, police must approve the singing of Christmas carols. Over at The Creative Minority Report, Patrick Archbold offers us Longfellow's Christmas poem, "Christmas Bells," together with a setting of it put to music by Casting Crowns. Be sure to give it both a read and a listen. Commenting on The Gospel in the Digital Age, Archbishop Dolan reminds us where we'll be at Christmas. In the Minneapolis Star-Tribune, 20-something Katherine Thomas, a Catholic religious educator, explains why the Church cannot ordain women. ALETEIA offers a concrete response to Benedict XVI's request to proclaim the Gospel through new media. ALETEIA works in association with the Pontifical Council for Social Communications and with the Pontifical Council for Promoting the New Evangelization. ALETEIA is the first multi-lingual online community that offers Questions and Answers about the Catholic faith, life and society. ALETEIA is a private initiative that aims to help those who want to know more about what the Church really teaches. Komen provides funding for local community health programs through our network of more than 120 affiliates across the United States. Each affiliate is responsible for assessing the breast health service needs—including education, screening, treatment and support—for the residents within its region as well as identifying and providing funding to organizations that can meet those needs. Annually, Komen Affiliates fund programs that provide breast health education and breast screenings for hundreds of thousands of low-income, uninsured, or medically under-served women via nearly 2,000 local organizations, including 19 Planned Parenthood programs. Capello tip to Life Site News. Remember: Attempting to eradicate breast cancer while funding a group that is actively engaged in two known causes of breast cancer (oral contraception and abortion) makes no sense at all. The Komen Foundation is not worthy of your donations. 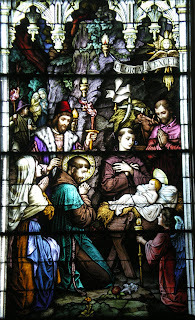 With the Solemnity of the Nativity of the Lord (a.k.a. Christmas) now just one novena away, the thoughts of many priests will soon turn to their Christmas homilies. "What should I preach about this year?" they ask themselves. "What did I preach about last year? Did anyone listen? Will anyone listen this year?" I want to hear of the mystery that is Jesus Christ, the kenotic baby in a trough. I want to hear the obvious alignment of things like Bethlehem (which means "the house of bread"), being born in a manger (a trough, coming from Latin for "to eat"), tying that to the fact that Christ came to die for us, to leave us Himself in the form of food (the Eucharist, the Bread of Life), to subject Himself to each and every pain of humanity, bar sin [more]. I'm happy to say that I've preached about some of this in 2006 and in 2009. Whether he heard these or not, I do not know. I'm not sure why this should be surprising, but medieval texts of war are being read again in the light of modern military psychology. Consequently, a new understanding of medieval warfare is emerging, thanks to a new study from Copenhagen. Today I read the surprising news that lawmakers in New York will consider lifting the statute of limitations in sexual abuse cases in the wake of the increasing scandal with Sandusky and others. This is good news and should be a help toward addressing this serious plague on society, but only if they do it properly. Keeping the statute of limitations in effect for public schools is a serious mistake and an affront on justice. Two school bus drivers have been told they cannot decorate their school bus with stickers of snowflakes, ribbons and bows, elves and Santa, and [gasp]. "Seasonal" decorations are against company policy. Because of the diversity of the students, the bus company likes "to keep it as generic as possible." Ah, yes, humans always thrive in generic situations with little expression or differentiation. Lest anyone claim the bus drivers are attempting to force their religion upon the students, one of the drivers explains: "This is totally not a religious thing. This is about Christmas." The religious ignorance of our people is astounding, pathetic, and truly lamentable. Capello tip to the Creative Minority Report. In India, a pastor who baptized converting Muslims has been brought before a Sharia court. Capello tip to The Anchoress. With the Solemnity of the Nativity of the Lord (a.k.a. Christmas) drawing ever closer numerous cards and even a few gifts have found their way to my mailbox. Three of these gifts are, I think, particularly nice as they come from friends who clearly know me well. Mahalo, nui loa, to each of you! I'm always fond of friends who help me indulge in my particular interests. Three women attacked and threw Christmas decorations at a woman inside her apartment in the 100 block of North Park Street on Sunday [more]. Saint Lucy, help us to see clearly the true meaning of these days, to prepare ourselves well to meet the Lord when he comes, and to live these days in harmony and peace. This evening His Exellency the Most Reverend Thomas John Paprocki, Bishop of Springfield in Illinois, celebrated an Evening of Repentance and Prayer for Those Harmed in the Church. Tonight we have come together for an Evening of Repentance and Prayer for Those Harmed in the Church. I am grateful for your presence and participation as we ask God’s healing for those who have been harmed in the Church, express our repentance for those sins, and seek God’s mercy and forgiveness. I am glad to be able to speak also to those attending these prayer services in the deaneries through the Deans who are reading the same homily I am giving tonight at our Cathedral in Springfield, so that all may hear the same message of your diocesan bishop throughout our diocese. The title chosen for our evening of repentance and prayer was given much thought and reflection. In calling this an “Evening of Repentance and Prayer for Those Harmed in the Church,” the preposition “in” is important. People may be harmed IN the Church by her sinful and imperfect agents, but people are never harmed BY the Church, which is the holy means of our salvation. This was the heart of Blessed John Paul II’s plans for the Great Jubilee of 2000: that the Church cleanse its historical conscience at the end of the second millennium, in preparation for a new springtime of evangelization in the third. Similarly, it is my prayerful hope that we can have a new springtime of evangelization in the Diocese of Springfield in Illinois, but in preparation for this we must first cleanse our historical conscience. I see this evening of repentance and prayer as my desire, while I am still near the beginning of my pastoral ministry as Bishop of the Diocese of Springfield in Illinois, to express our repentance and seek God's pardon for the sins of the past, that His grace may bring us healing for the faith to flourish in the future. Blessed John Paul II said that “the Church does not tire of doing penance” because penance is something that we do as a community of faith, asking pardon for each other’s sins. As Saint Paul wrote, if one part of the body suffers, “all the parts suffer with it; if one part is honored, all the parts share its joy” (1 Corinthians 12:26). So we do penance for the sins of others as well as ourselves, that all may be healed. It is in that same spirit that I express repentance for the sins of the members of the Church who have harmed others. Sometimes these harms were evil in themselves, such as the sins of racism and the sexual abuse of minors, as well as other forms of unchastity. At other times, the harms may have been done in the context of actions that were in themselves not sinful and may even have been necessary for pastoral or economic reasons, such as the closing of a church or school, but nevertheless were done in a way that was insensitive to the feelings of those who would be affected. Therefore we pray for all those who have been harmed, that with God’s grace they may be able to forgive, since it is through forgiveness of those who have harmed them that they will begin to experience God’s healing and come to a place of peace in their relationships with God and with others. We pray for those who have perpetrated harm and have sinned against others, that they may recognize how they have hurt God, their victims and others who have been offended by their actions, and that God may administer justice tempered by His Divine mercy. The fact that there are always offenses to be forgiven and amends to be made and accepted should not give rise to despair. Rather, the ongoing work of reconciliation in the Church takes its hope from the truth of our faith that our sins are forgiven and salvation is accomplished through Jesus’ death on the cross and His rising to new life. Our repentance tonight is not a Lenten penance, but an Advent preparation for the rebirth of a Christmas spirit in the Church, a spirit that can celebrate anew the joy of Christian faith with the innocence of a small child. We also offer our evening of repentance and prayer on this Feast of Our Lady of Guadalupe. In the image of our Blessed Mother that miraculously appeared on the cloak of Juan Diego, the Virgin Mary is depicted as being pregnant. As such, we join in Mary’s joyful expectation and anticipation of the birth of her Son. It is my fervent hope and prayer that, having repented our sins and being purified by God’s pardon, we in the Diocese of Springfield in Illinois will experience a rebirth of faith in Christ; a deepening of commitment to live as a follower of Jesus in full communion with His one, holy, Catholic and apostolic Church; an openness to hearing God’s unique call for each one of us; a readiness to answer that call and live out our vocation in accord with God’s will; a firm resolve to fulfill the mission that Christ has entrusted to us; a desire to love God and neighbor by keeping the Ten Commandments; an eagerness to share our faith with others; and a willingness to tell them of the happiness that is found in Jesus Christ both here on earth and in the life to come in God’s heavenly kingdom. In short, we pray that the presence of Jesus and His love may grow in our world, in our hearts, in our minds, in our words and in our deeds. 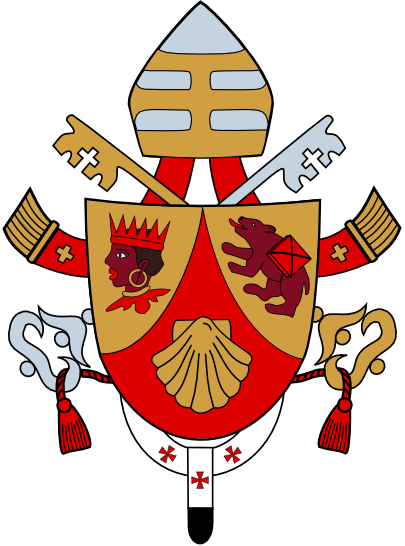 [i] Blessed John Paul II, Tertio Millennio Adveniente, Apostolic Letter, “As the New Millennium Approaches,” 1994, 33 [emphasis in original]. [ii] International Theological Commission, Memory and Reconciliation: The Church and the Faults of the Past, 1999, p. 27. [iii] George Weigel, The End and the Beginning: Pope John Paul II – The Victory of Freedom, the Last Years, the Legacy (New York: Doubleday, 2010), pp. 215-216. 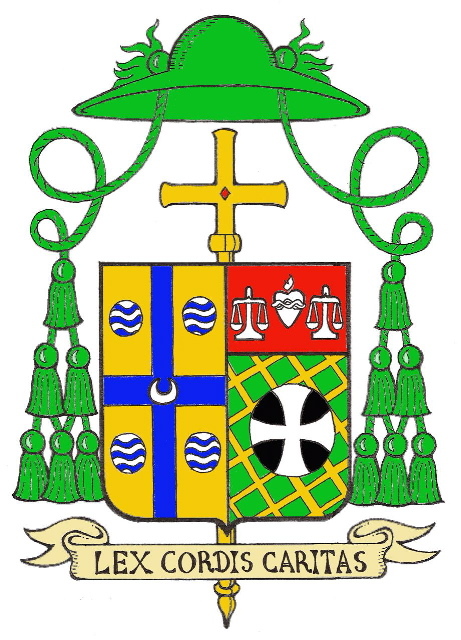 [iv] Bishop George J. Lucas, “We Implore You on Behalf of Christ, Be Reconciled to God,” The Bishop’s Pastoral Letter on Reconciliation, Catholic Times, February 10, 2008.